2-Way Full Range, Single 12"
The SM72-2 is a low profile, two-way, 60° conical dispersion stage monitor system, designed to meet the rider requirements of national-level touring artists and soundstage / televised events. Featuring McCauley’s new Direct-Q™ wave propagation technology, the SM72-2 integrates the full spectrum of high, mid and low frequencies to create a unified performance field, where Q, directivity and beam width are a constant everywhere within the monitor’s 60° performance cone. This technology provides enough output and clarity to cut through any level of stage noise, giving the SM72-2 an unprecedented gain before feedback ratio and remarkable pattern control. The system’s highly functional, four position design and exceptionally focused full bandwidth response make the SM72-2 the ideal monitor wedge for a wide array of live performance applications. The inclusion of a pole mount bracket allows the SM72-2 to double as mobile, short-throw P.A. The SM72-2 is a compact 2-way full range stage monitor system in a trapezoidal, computer optimized enclosure. 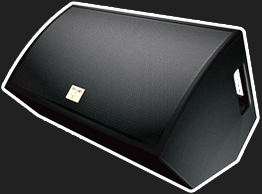 Loudspeaker complement consists of a single proprietary 12”, paired with a single extended high frequency 3” coil compression driver mounted on a Direct-Q™ 60° conical waveguide. Connections to the SM72-2 is made by NL4. The enclosure is constructed of durable 12-ply void-free birch laminate, mechanically dadoed for strength and durability. A pole mount is located in one end to allow the system to double as short-throw P.A.. Perforated steel, backed by acoustically transparent foam, is employed for frontal protection of the loudspeaker complement. The system is protected from damage and weatherproofed with McCauley’s ProCoat™ elastomeric finish, or is alteratively available in a white, indoor-only finish. "I’ve never had anyone refuse McCauley Sound rider wise, which says something about the quality of the product. With so many big shows and festivals coming through here this summer, it’s important to have a crowd pleaser of a soun..."